Stop the USA from wrecking the climate talks! Our online campaigns, grassroots organizing, and mass public actions are led from the bottom up by people in 188 countries. 350 means safety from the climate crisis. To preserve our planet, scientists tell us we must reduce the amount of CO2 in the atmosphere from its current level of 392 parts per million ("ppm")to below 350 ppm. But 350 is more than a number—it's a symbol of where we need to head as a planet. At 350.org, we're building a global grassroots movement to solve the climate crisis and push for policies that will put the world on track to get to 350 ppm. Read more about the science behind 350. Will Mr. Romney answer the Climate Challenge? To join this campaign, you must exit 350.org to sign on with our affiliated organization, the "350.org Action Fund." 350 Local A global network of local climate activist groups. Connect the Dots (ClimateDots.org) Showing the Human Face of Climate Change Climate Leadership Workshops Training the next generation of climate leaders. eARTh: Climate Art Using art to spark a global climate movement. In New Zealand, we have large populations of Pacific Islanders. For example, there are more Samoans living in New Zealand, than actually live in Samoa. It's the same for places like Niue and Tokelau too. So an important part of building the climate movement throughout the Pacific region is for us to connect with the Pacific Island community here so that they can both support their families and villages back in the islands, and be more outspoken about climate change in New Zealand. So last weekend, we kicked off the first of our 350 Pasefika Climate Change Jams - led by our 350.org Pacific Outreach Coordinator, Koreti Tiumalu. We did some filming on the weekend, which the One Day on Earth team edited into a 2 minute film, and then it was screened on Monday at the World Social Good Summit - in New York, Beijing, Nairobi and dozens of places around the world. (just a note that the framing was "how are you using technology for social good in the Pacific region?"). We're pretty excited about how it worked out - so many thanks to all involved! New Zealand - SGS Global Conversation from One Day on Earth on Vimeo. Onward we go this weekend to another Pasefika Climate Change Jam, in Auckland. Then seen as Australia also has massive Pacific Island populations...perhaps we should unleash a 350 Pasefika Climate Change Jam or two there? One year ago today, we moved the planet. One year ago today, we moved the planet. On Septeber 24, 2011, people in 180 countries came together to bike, walk, run, and paddle their way to climate solutions. We protested the stranglehold of fossil fuels on our transportation systems and our lives, while leading the way to an alternative future. We danced, we sang, we cheered, we moved. It was a beautiful day. It's been an inspiring year. Thank you for being part of it and helping us keep this movement moving. Hoist the main sail, tharrr be coffee on the high seas! This guest post was written by Brent Schulkin, founder of CarrotMob. Carrotmob is a new way for people to influence businesses to make them more sustainable. Instead of organizing boycotts, we offer to spend money as a group to support a business if the business agrees to make an improvement that we care about. Everyone wins - businesses get money and we achieve unprecedented social impact. And it works. We just launched our first ever, global climate campaign with a larger business. The campaign is actually with Thanksgiving Coffee Company, an artisan coffee roaster in Northern California. The family-run company buys coffee beans from small farms and cooperatives around the world, and already embrace cutting edge sustainability practices. But they are determined to become the first company to make their coffee as Earth friendly as possible by transporting their coffee beans by wind-powered shipping instead of using container ships fueled by oil. Thanksgiving has agreed to embark on this journey if people buy $150,000 worth of coffee through the Carrotmob website (carrotmob.org/thanksgiving). The income they will generate from our campaign will prove that there is demand for sustainably-transported coffee. I’m asking you to help make this vision a reality. All you have to do is buy this "extraordinary, luxurious coffee." Nope, I didn't make that up - it's straight from Coffee Review. Though I can personally vouch that the coffee is DELICIOUS and like their tagline says it’s "Not just a cup, but a just cup" so you can feel good about your purchase. Global shipping currently accounts for more than a billion tonnes of carbon dioxide emissions each year. Since coffee is the most widely traded agricultural commodity in the world, the potential impact of this campaign is enormous. Small coffee companies have already transformed industry practices. For example, just look at the increase in Fair Trade sales over the past decade. A move by small coffee companies towards wind-powered shipping could be game-changing not only for the coffee industry, but other industries like chocolate, sugar and more. If this campaign is successful, we'll be able to change the climate practices of other large businesses. We would also love to work with 350 to design high-impact climate campaigns in the future. But that won’t happen unless we get enough people to buy this coffee right now and send a message. I appreciate the support, and we’d love to hear any of your thoughts in the comments below or on our Facebook page. You’ve probably heard of Kiribati by now. If you haven’t, then you know, it’s one of those Pacific Island atoll nations that are facing being wiped off the map by climate change. Well at least that’s what’s in store in the longer-term for them if we continue with business as usual. Here’s the deal: by 2030, sea level in Kiribati is projected to rise between 5-14cm, and by 2100 it’s likely to be at least 1 meter – which would be enough to swamp most of the islands. But there is quite a lot of misinformation going around about how Kiribati is faring in the present. A recent explosion of headlines have suggested they’re already getting ready to relocate, but in truth, the Kiribati government purchased the land in Fiji as a place to grow food on, and there are no plans to relocate people there. These super-emotive stories do Kiribati a great disservice, and they’re giving the world an excuse to give up on Kiribati because it seems to be too late. The reality is that the situation is much more complicated. Over the last 20 years, sea level has risen 1–4mm per year across Kiribati, which is below the global average of 2.8-3.6mm per year, but it is still significant enough to cause salt water intrusion into groundwater in places at king tides, and coastal erosion. How much of that sea level rise is due to climate change is not clear either – because phenomena like the El Nino-Southern Oscillation cause natural fluctuations in sea level that are hard to quantify. So relocation is on the horizon, but probably not for another decade or two at least. However, life in Kiribati is getting increasingly challenged by other climate impacts like hotter temperatures, changing rainfall patterns, ocean acidification and increased drought. So Kiribati is already locked into some significant climate change impacts such as these, but the worst of them could be halted if we get successful at mobilising the world to stop burning coal, and phase out other fossil fuels. So while it’s a complicated situation, and sea level rise will increasingly grab attention, I can say from first hand experience that Kiribati is a land and people that is worth fighting tooth and nail to save. Let me explain. I first stepped onto the low-lying land of South Tarawa – the most populated atoll in Kiribati - two years ago, and was immediately confronted by the swathes of rubbish lying sprawled across the island, and the high population density for such a narrow strip of land. It's a stark contrast to the outer atolls, which are sparsely populated and by in large clean. The culture is rich and unique, and the singing exquisite. So I was intrigued to see how things had or hadn’t changed when I returned last week, after an invitation from the International Transport Workers Federation (ITF) to assist them with a climate change workshop with a group of 30 local seafarers. Mid July, 2012. It was the time I joined an event which changed the way I act and the way I think of something. Well, it wasn’t the first climate movement workshop I’ve ever joined. But still, I got amazed by this workshop. Joining this workshop meant getting new knowledge and skills and also meeting new people. I got new friends from throughout South East Asia and the facilitators who came from four different countries, Indonesia, Vietnam, US, and New Zealand. There are a couple of questions that come up within the workshop that I always keep in mind. One of them is “Why would I join the climate movement?” It’s a simple question yet difficult to answer. Well, anyway, I always convince myself that you don’t have to think twice to do good things. Joining a climate movement for the sake of the Earth and its living things is a good thing. Why wouldn’t I join? Further, life is too short for doing things that aren’t meaningful, isn't it? So I won’t think twice to join this climate movement since it’s more than worth for the Earth. However, there is no coincidence in this life, so I know this climate movement, join this movement, and being part of it is not a coincidence either. One of my facilitators said that if only one person changes the behavior toward the climate change, it is maybe not enough, because what we actually need is a massive and global change about it. However, Earth needs a massive change. So that’s why, a climate global movement is extremely needed. There are many things you can do for joining the climate movement. One of the examples is using public transportation or biking to work/school to decrease the consumption of fossil fuels. One person might not give any impact, but when we do it altogether, right now, we’ll see the difference and we’ll be able to save our lovely planet. 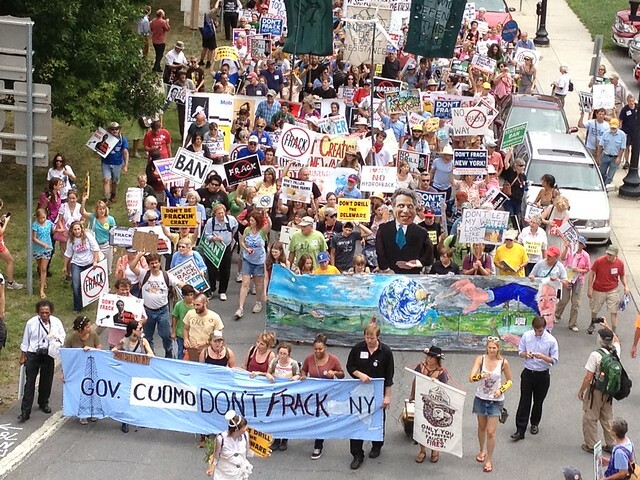 Over 1,000 people joined a massive protest against fracking in Albany, NY this Monday afternoon. After a rally at Corning Preserve Riverside Park, the crowd marched to the Capitol and delivered a pledge to resist fracking in New York that has been signed by over 3,000 people. Call for applications: Training for Trainers in Spain, Germany and France! Thanks to many of you, this year has already been a whirlwind of climate action, but it's no news that the climate is getting hotter and the time to peak in emissions is increasingly urgent, so we've got to continue to step-up to the challenge that lies ahead of us. So as part of our climate movement building efforts for the rest of this year, we are currently orgaising 3 free 'Training for Trainers' (T4T) in some of Europe's major cities. The aim of this is to keep growing this movement and supporting the grassroots leadership of climate organisers everywhere. Madrid, Spain: 31st August-3rd September. Applications close Monday 27th August. Paris, France: 27th-30th September. Applications close Tuesday 18th September. 350.org seeking motivated, creative European Campaigner with great communication skills! Some of the European and global 350.org team! Submit your success story from your work in the climate movement and we'll share the best ones on our blog and social networks! 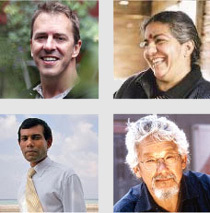 Stories from people like you are crucial tools in growing the climate movement. Submit your photos and event reports to 350.org. Check out our ever-expanding pool of photos. How do we actually reduce carbon emissions to get to 350?? And what about all the other targets people are aiming for? Why another organization--there are already too many things going on! Do you measure 350 in CO2 or CO2e? 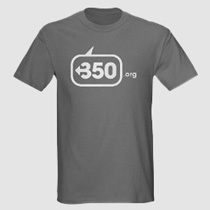 Help spread the word and look good while doing it—check out the 350 Store for t-shirts, buttons, stickers, and more.